The Silk Road itself is only a platform and does not sell any substances. It virtually is what it is sometimes called by the media: “the ebay of drugs”. So not only do you have to trust the Silk Road, but you also have to trust the vendor you are buying from. How is it possible, that would work? The answer is quite simple, actually: feedback. The founder of Silk Road (a person, group or organization that goes by the name of TheDreadPirateRoberts) is a deep believer in an economic concept called “agorism”, which is the idea of unregulated markets that are controlled only by free information for the potential customers. In the case of Silk Road you are able to see the vendors’ feedback from every transaction ever taken. After purchasing something, you are asked to give a rating from 1 to 5 and leave a comment describing your experience regarding shipping, friendliness, quality of the substance, etc. 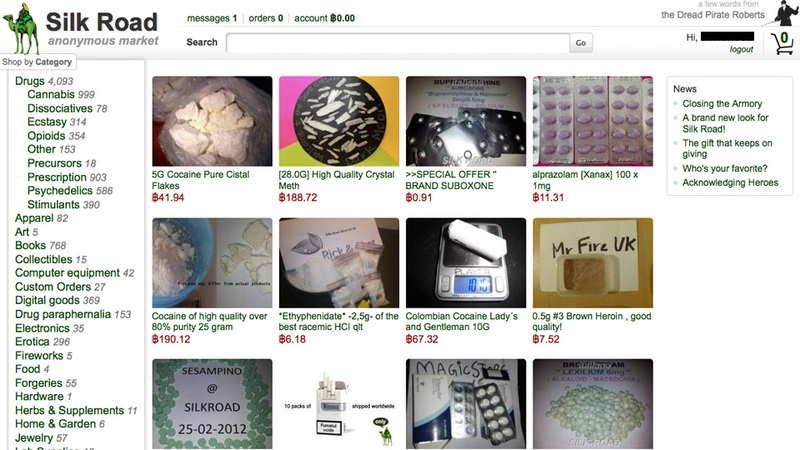 There is also a forum attached to the Silk Road where people can discuss about vendors. Having this information makes it possible for a customer to choose a vendor not based on advertisements and empty promises as in the real world, but rather on actual experiences people just like you have had. So after having done my research and buying enough Bitcoins I decided to make my first purchase on the Silk Road, a gram of MDMA. It was advertised as having a purity of at least 80% for a little over €30 including shipping (in my area the average purity is somewhere around 40% for €60) and the vendor had a positive feedback rate of 99%. I contacted him before purchasing to ask for shipping time and got response within 30 minutes! He assured me he would, once seeing my purchase, put my order into mail early the next day. Since it was shipped within my country, it would only take 1, perhaps 2 days and would be sent in a regular envelope. Impressed with the customer service, I placed my order right away. At this point, the money did not go to the vendor, but into an escrow system. That means that the amount is frozen in your account, you can neither spend it again nor withdraw it. The advantage is that your money is with a third party that can intervene if things go wrong, like your packet doesn’t arrive or the quality is not as described. You are asked to release the funds as soon as you have received your order. Some vendors may ask to “FE” (Finalize Early) and meaning that the funds will have to be released from the escrow BEFORE the order is shipped. Vendors will state this on their vendor page or in the article description. Some vendors always ask for FE, most do it only when dealing with customers who have bad buyer statistics or are new to the Silk Road. My vendor did not ask for FE and I received my packet the next afternoon. The envelope was looking like a regular envelope you might get when ordering something completely legal online. The MDMA was not only put into the envelope but hidden inside between loose papers. While first wondering why my vendor would do that, it occurred to me that it is a protective measure against potential mail checks when crossing international borders. Before giving feedback and releasing the funds I checked the weight (lucky for me he was .1g over) and the quality (big, clean) crystals. I decided that I was very happy with my order and so I released the money from the escrow system and gave a 5/5 feedback. Having such a good experience on my first purchase motivated me to make more purchases. 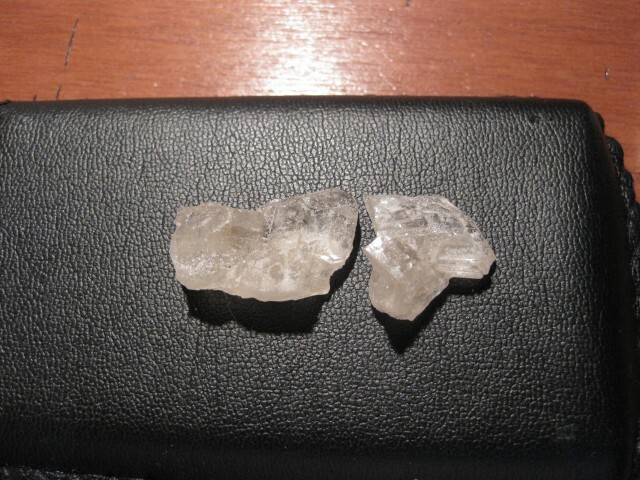 I ordered another gram of MDMA, this time for a friend of mine from the same vendor. Again it had very quick shipping and great quality. My third order was 2 joints. While substances like MDMA and LSD are usually cheaper than on the street, weed is usually quite a bit more expensive. Where I live, we usually pay €10 for a gram if we’re lucky. On Silk Road it’s usually somewhere between €10 and €15 depending on quantity and quality. I wondered if it would be worth to spend that kind of money, so I figured I’d just give it a try. Same procedure, everything went well and I had exchanged €20 for 2 ready-to-go joints including shipping. Me and a friend sat down, relaxed, lit one of them and went on the trip of our lives. This was perhaps the heaviest trip I have ever had on cannabis; we were stuck to the couch for 6 hours straight. That Silk Road weed I would say is not something for a party or just relaxing. It is powerful stuff and should only be taken by people who know how to deal with powerful trips. I would definitely say that weed was worth its high cost. So in conclusion I’d say that Silk Road is perhaps the greatest revolution in the history of drug trade. It enables the user to acquire very high quality to very competitive prices. For me, there is no more checking up my weed guy in my city. I pay quite a lot more on Silk Road, but for me the strength of the product and the knowledge that it’s a clean, uncut product more than make up for it. Someone plz HELP! I need to know how to encrypt messages on Agora. I have added PGP to my Mac mail app. And am trying to connect it to my safe-mail address. I dont understand how to reach Agora dealers though. ANY advice would be great. Thanks.